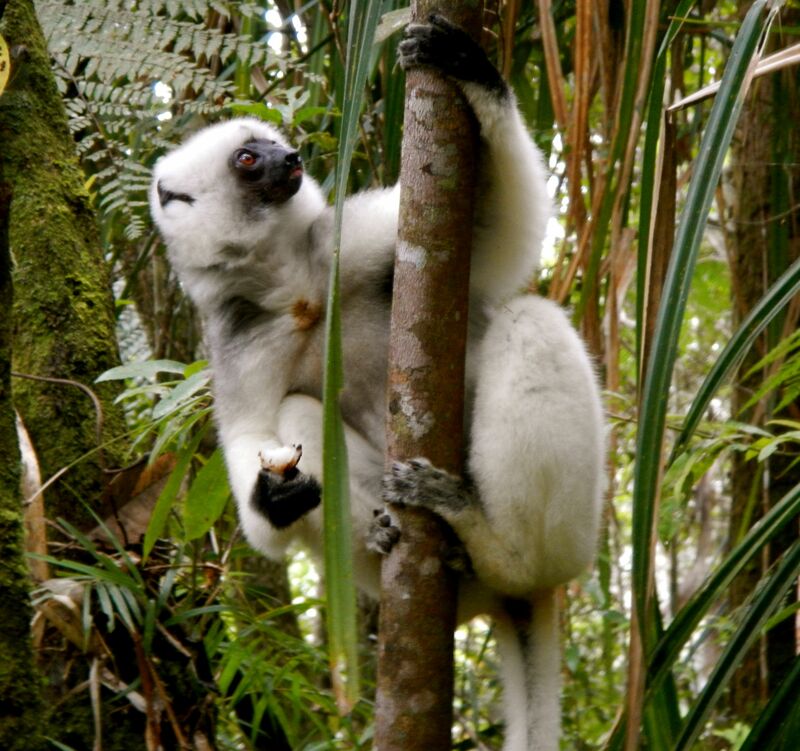 This silky sifaka (Propithecus candidus), a type of lemur, was photographed in NE Madagascar. Did you know that dark brown patch in the middle of its chest is a stain from a scent gland? Photo credit: Emily Burke.